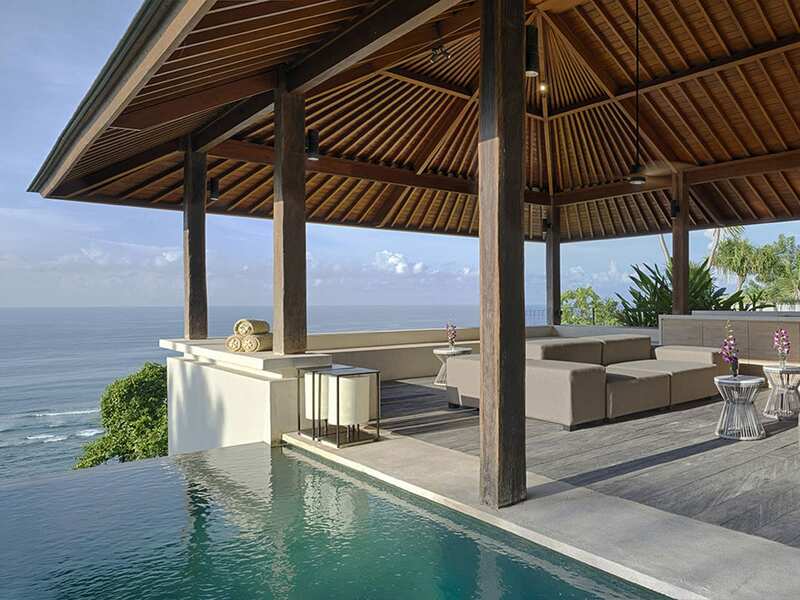 Welcome to Bidadari Cliffside Estate, one of Bali’s most breathtaking 4-bedroom luxury villas perched on a cliff overlooking the Indian Ocean. 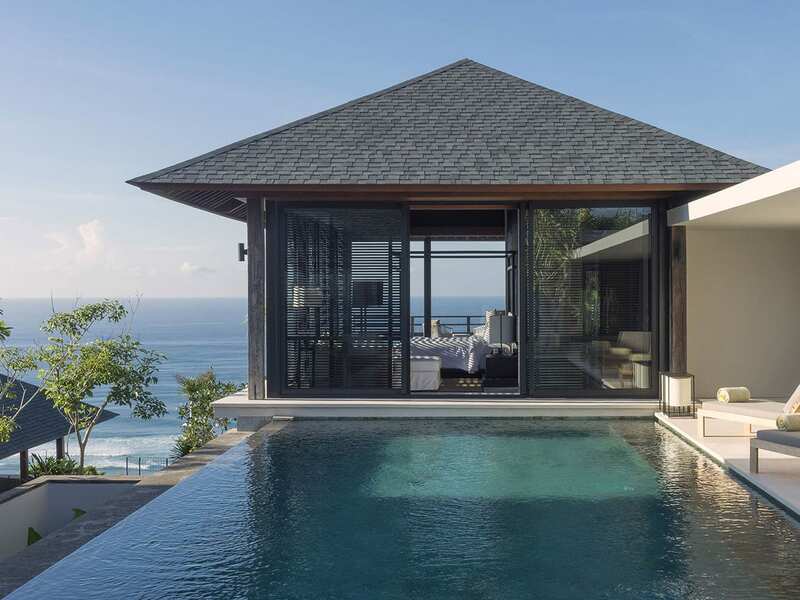 Everything about Bidadari is stunning, from the deep blue infinity pool hovering over the sea to the exquisite modern furnishings and artwork, the outdoor Japanese soaking baths in each of the master suites and the custom-made inclinator to the romantic hidden cabana tucked into the cliff below. If you’re looking for the ultimate in luxury, atmosphere and incredible views, it’s hard to beat this astonishing retreat. 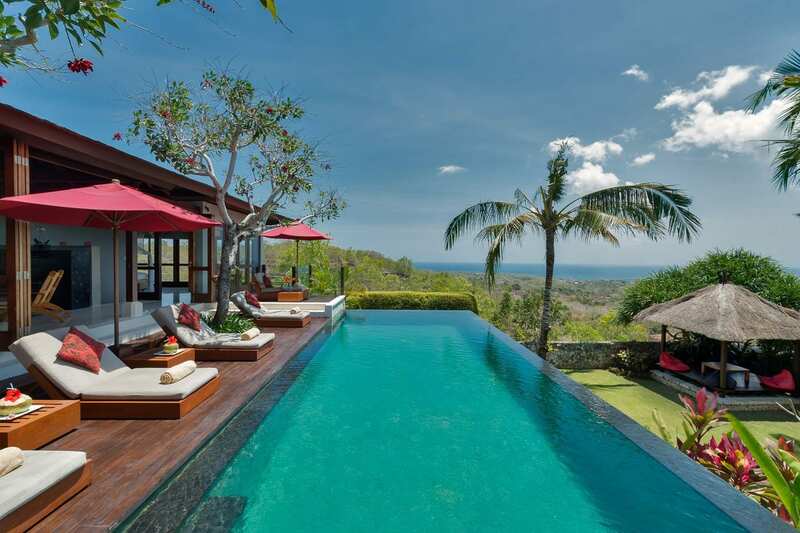 As your chauffeured van drives you into the gates of Bidadari Cliffside Estate, you are immediately submersed in a tranquil garden of lush plants, peaceful Buddha statues and lotus ponds. The manager and villa staff greet you with smiles, and offer you cold towels and icy tropical welcome drinks. You walk towards the foyer and pass through a massive arch with vines hanging from either side and a beautiful reflecting pool with a unique glass angel statue in the middle of the walkway. 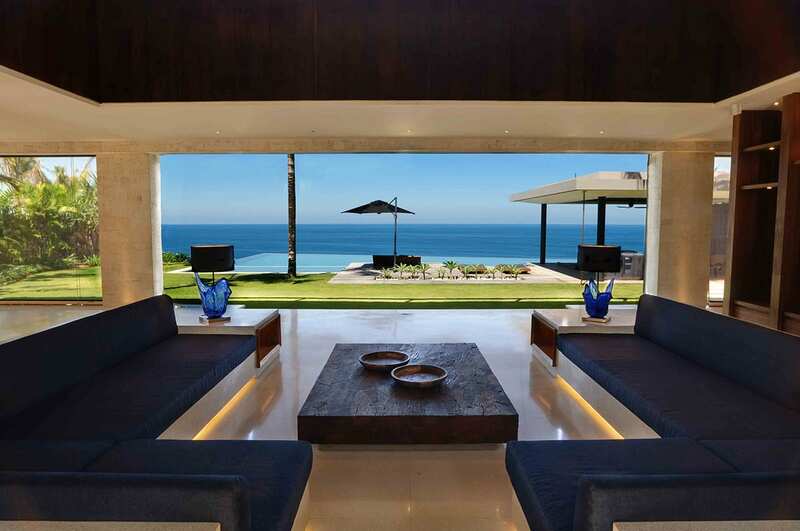 Inside, the spacious combined living and dining room is awash in plush couches and modern art, and one whole wall is made up of sliding glass doors that can open to allow amazing views of the ocean as far as the eye can see. 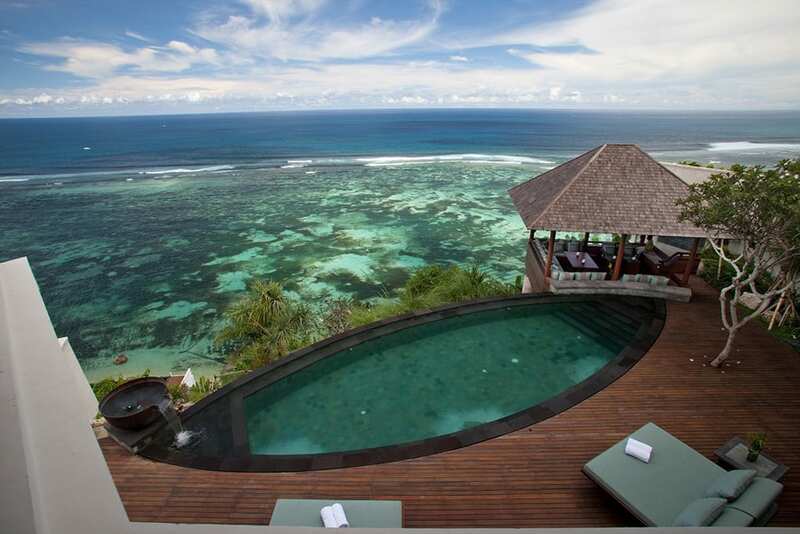 From this vantage point you can also see the spectacular infinity pool, which looks as though it hovers over the edge of the sea. Head up the suspended steps to the master suites above, and take your pick of tastefully designed rooms, each of which has windows that open to the sounds of the crashing surf below and beautiful oversized outdoor bathtubs. 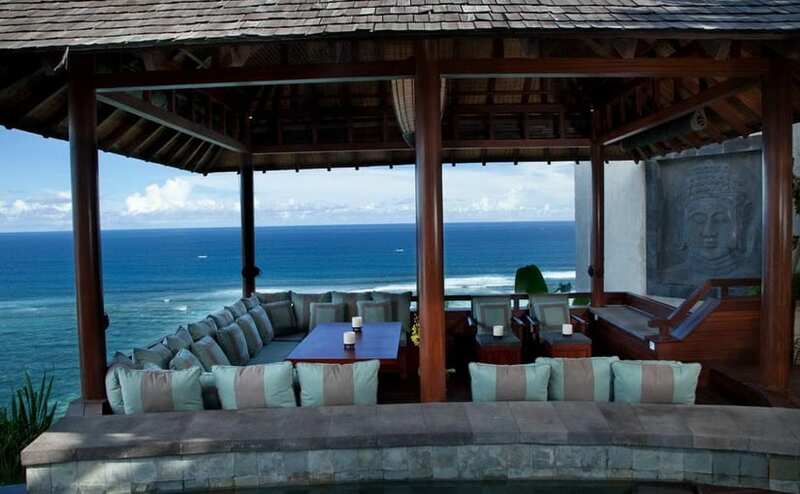 Or, you can opt for the intimate and private cabana at the bottom of the cliff, just steps from the sand and sea. The main residence at Bidadari is a large open-concept space with white marble floors, comfortable sofas, locally produced modern furnishings and Asian-influenced artwork. 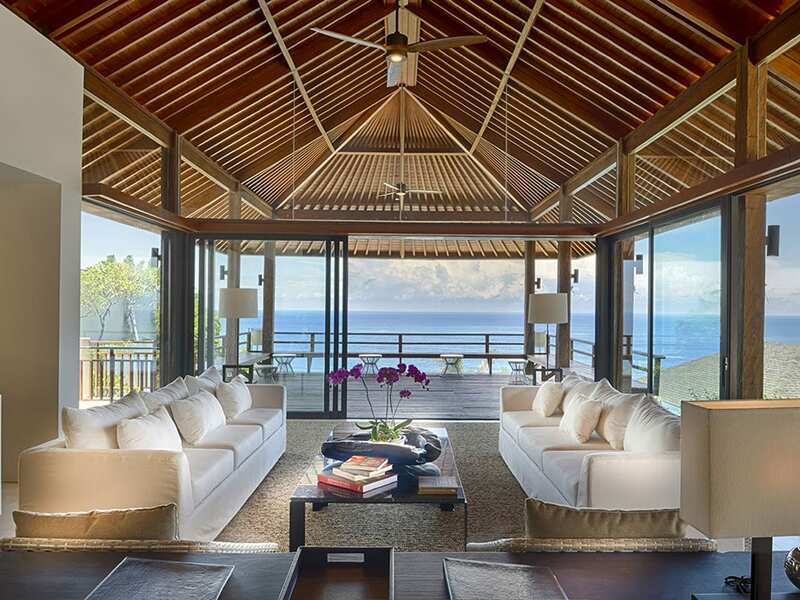 The living area and dining room merge seamlessly into one and enjoy jaw-dropping views of the beautiful pool deck and the Indian Ocean stretching off into the horizon. Behind the dining room there is a fully-equipped modern kitchen with everything you need to prepare your own meals or plan unique menus. 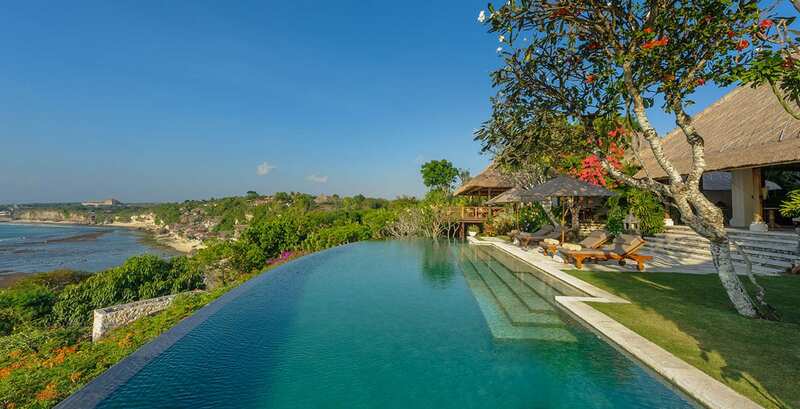 This is also where Ketut, the resident chef, will prepare mouthwatering meals in a range of culinary styles and offer private cooking classes on request. The first floor also features a gorgeous guest bedroom that looks out directly onto the lovely manicured gardens. In the foyer, a staircase seems to float over the reflecting pond, leading up to the upper floor. Here you will find two master bedrooms, the Veil Suite and the Livingston Suite. Each room features a neutral palette, and makes use of natural materials like stone and wood to create an ambiance that is classic and calming. Unique paintings and photographs adorn the walls, and both rooms open up onto massive wooden balconies that look out over the water. Storage space is no issue here, as there are huge walk-in closets in each room, and the attractive ensuite bathrooms are softly lit and richly decorated. 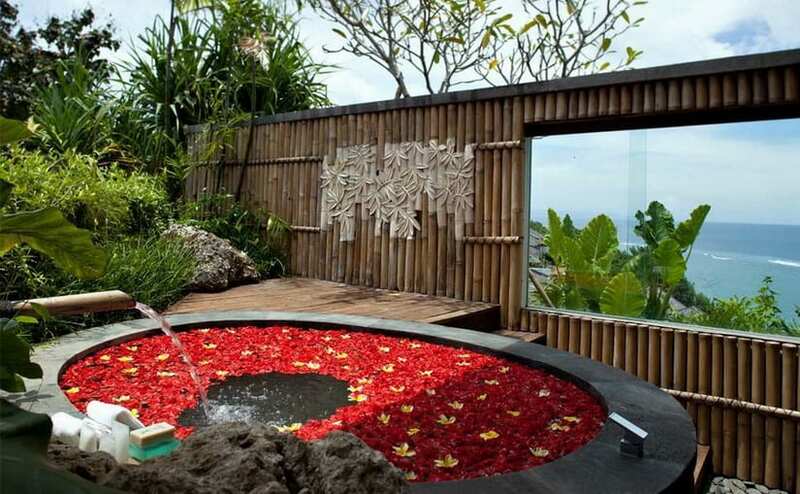 But what really makes the rooms stand out are the spectacular outdoor bathing areas with massive Japanese tubs hewn out of stone, surrounded by lush greenery and bamboo walls for privacy. The first floor also features a gorgeous guest suite that looks out directly onto the lovely manicured gardens. 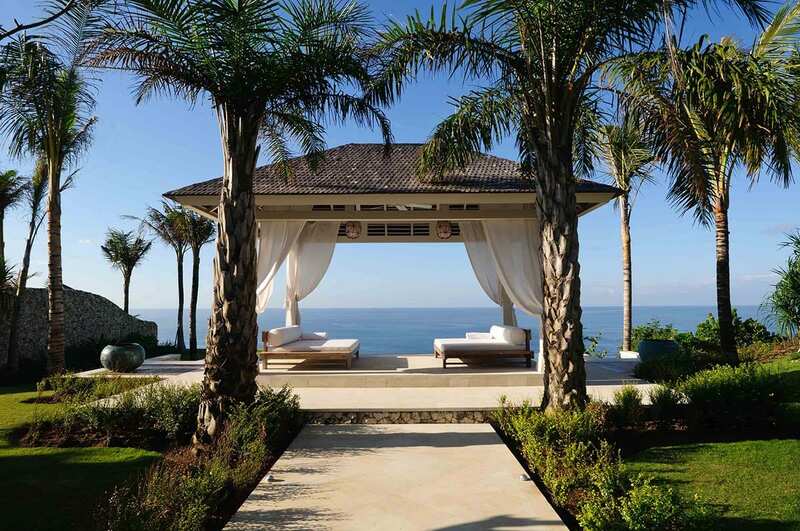 Take a ride in Bali’s only inclinator to the private Balinese-style cabana at the foot of the cliff. 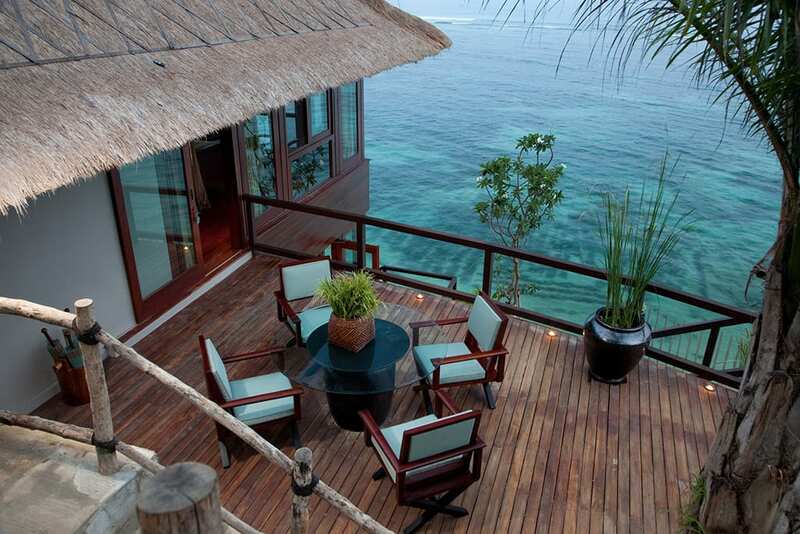 This ultra-romantic wood, glass and thatch suite is cozy, yet spacious, and sits just above the beach and the water. Outside there is a secluded balcony with a dining table and chairs for intimate breakfasts or dinners, and inside you’ll find rich wooden accents, modern furniture and plenty of opportunities to gaze over the water through the floor to ceiling windows. The bathroom in this suite is a compelling mix of natural stone and modern fixtures. Between the two master bedrooms there is a media room and library that is perfect for whiling away the hours with a good book or a film from the DVD collection. The extensive book collection boasts a wide selection of books and magazines with a focus on the arts, culture and architecture of Bali. The massive sofa in this room is plush and inviting, and large enough to accommodate many people or double as an extra bed. Follow a set of steps below the cabana, and you’ll reach the gym with its state-of-the-art equipment and sea views. The gym can be fully air-conditioned or open to the sea breezes. 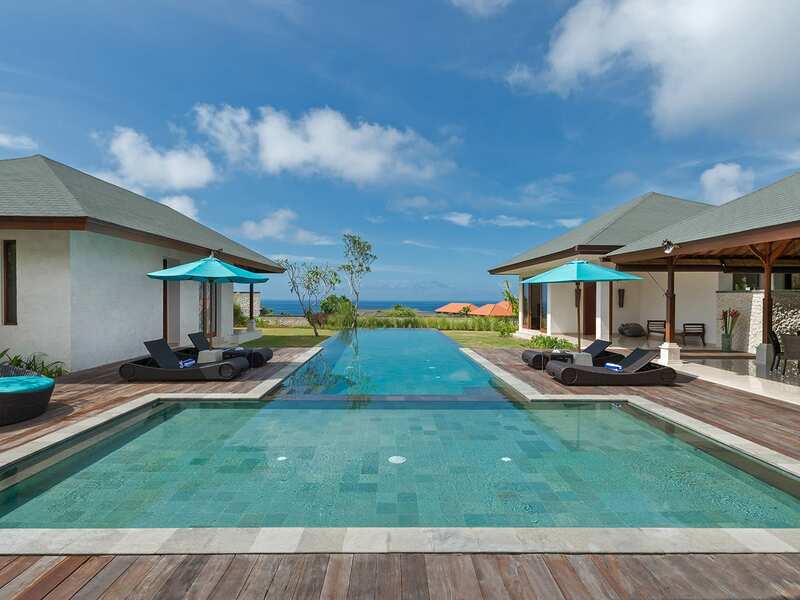 This space can also be used for yoga or meditation, and the villa staff can even arrange private yoga classes with internationally certified yoga instructors here. Fronting the living and dining area, an 18-meter infinity pool seems to spill into the waves below, and an attractive ironwood deck boasts large daybed loungers for soaking up the sun by day and relaxing amid the cooling sea breezes by night. A large wooden bale juts out over the cliff in the corner of the deck, and doubles as a chill-out spot for relaxing between swims or a breezy outdoor dining area. 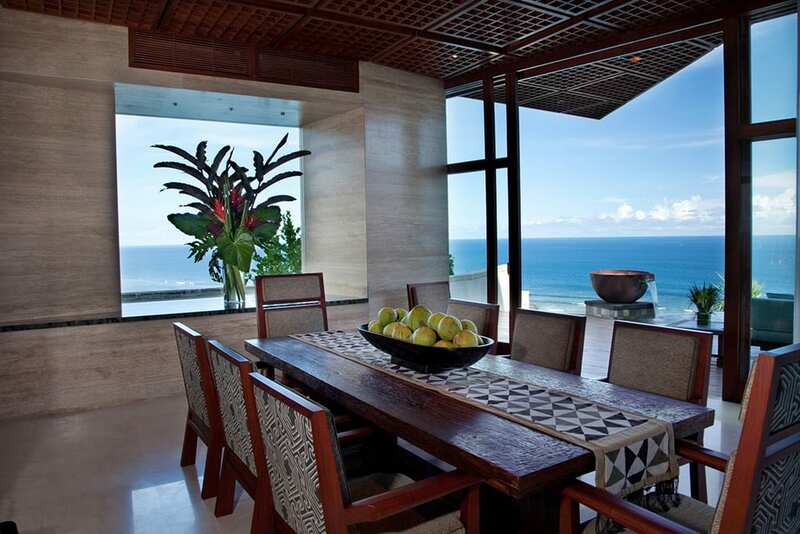 This is the ideal spot to take in uninterrupted views of the sun setting over the ocean. 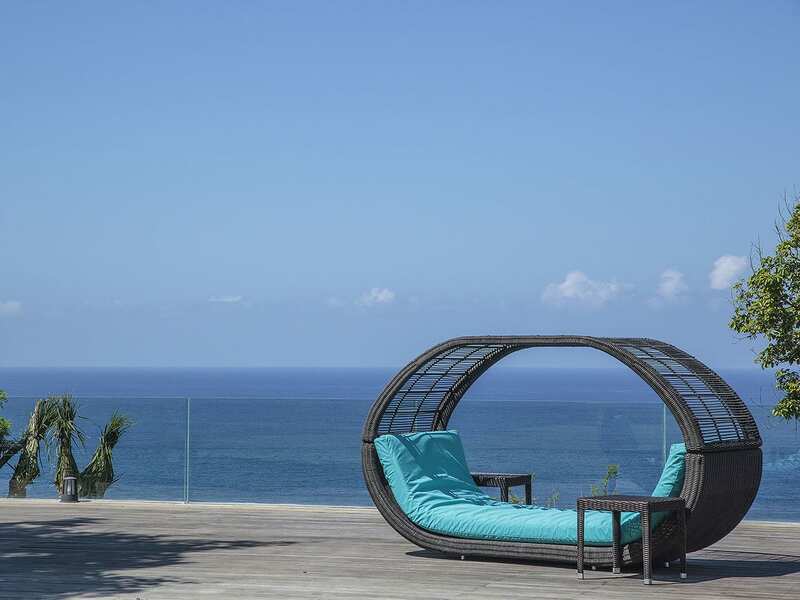 LOCATION The Bukit, Nusa Dua, Bali, Indonesia. LIVING AREAS Large open living room with multiple seating areas, dining area, infinity pool and large pool bale, cabana terrace, entertainment room, fully equipped kitchen, gym, gardens. 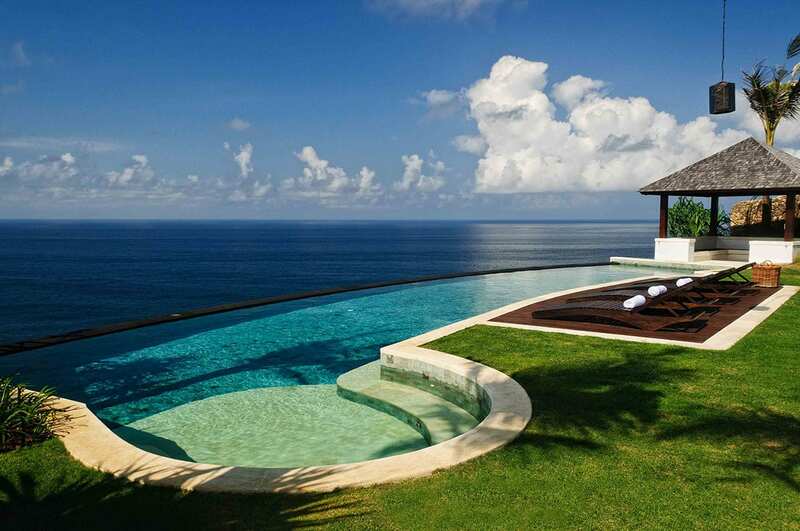 POOL 18m infinity pool with adjoining bale. ENTERTAINMENT Enjoy an extensive selection of books and magazines. Cable TV, DVD player and library. GYM The Gym Room is located in the lower level of the Balinese Cabana building and has expansive views of the Indian Ocean. 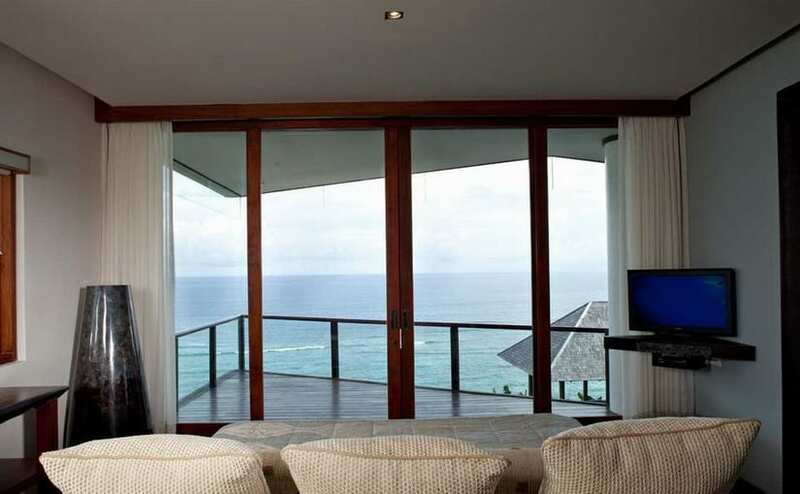 It can be air conditioned or fully opened to the sea breezes and ocean scents. 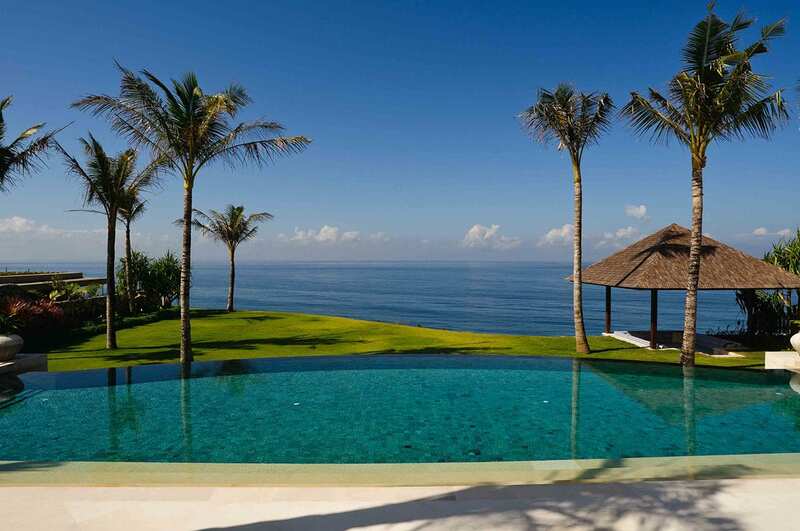 Bidadari Cliffside Estate is located in the region of Nusa Dua, Bali with breathtaking views perched on a cliff overlooking the Indian Ocean. 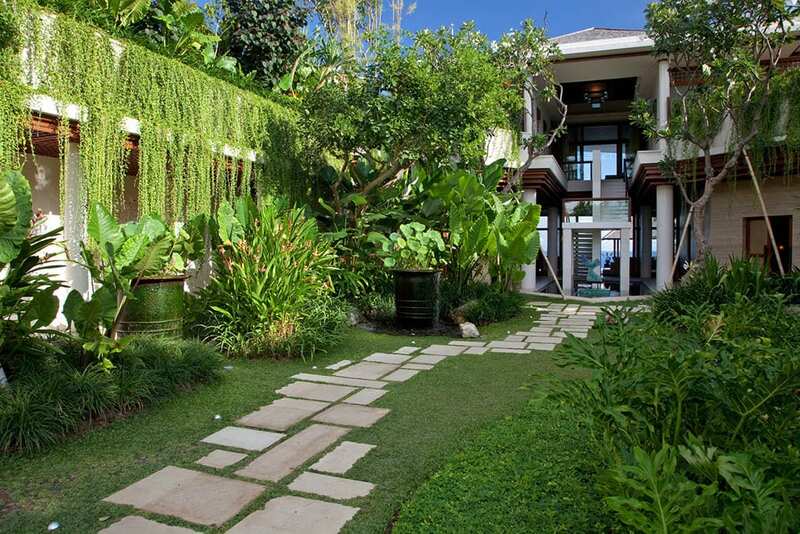 Just 20 minutes drive to the heart of Nusa Dua, 45 minutes drive to airport and 60 minutes drive to Seminyak. 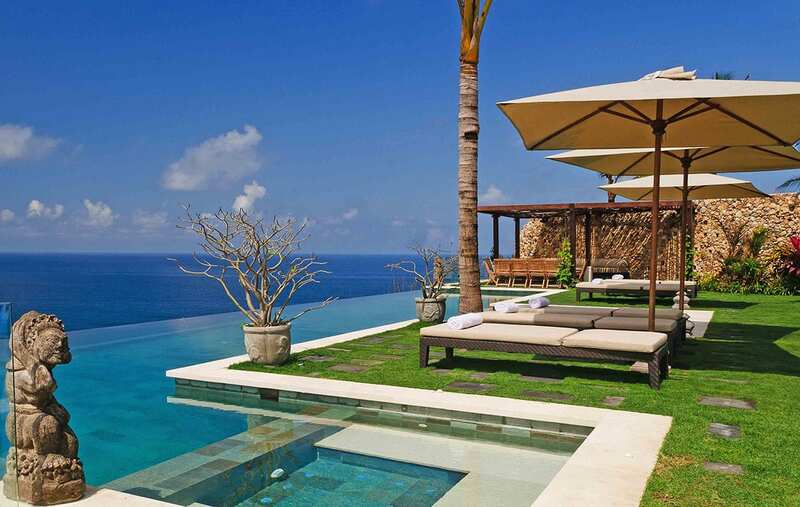 Uluwatu Temple is located on the most Southern tip of Bali and is relatively close to Bidadari Cliffside Estate. The Uluwatu temple compound is situated on a cliff top at the edge of a plateau 250 feet above the waves of the Indian Ocean. The temple was originally founded in the 10th century making it one of the oldest temples in Bali. Bali National Golf Club is only a 15/20 minute drive. This beautiful tropical landscape now offers visitors to Bali a truly unique golfing experience with an internationally designed and constructed championship golf course of some 7,166 yards from the back Tees. My wife and I stayed for a week with friends and only wished it was more. The design of the property is amazing and as soon as you enter the property you feel you are on holidays in your own haven. The staff were all great and went out of their way to make our stay as pleasant and special as possible. Ketut, the chef, delivered a great array of local cuisine and definitely found ourselves wanting to eat in most nights rather then hitting the restaurant scene We stayed in the Cabana located at the bottom of the property which was truly sensational and the morning and evening views were to die for. 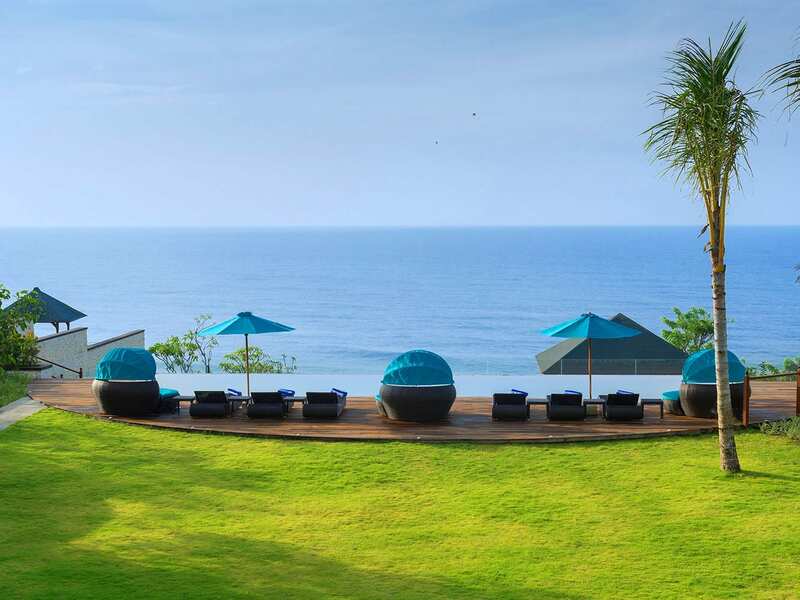 Overall we would highly recommend Bidadari Cliffside Estate for anyone who wants to have that relaxing holiday and to experience the great things in life at your own pace. 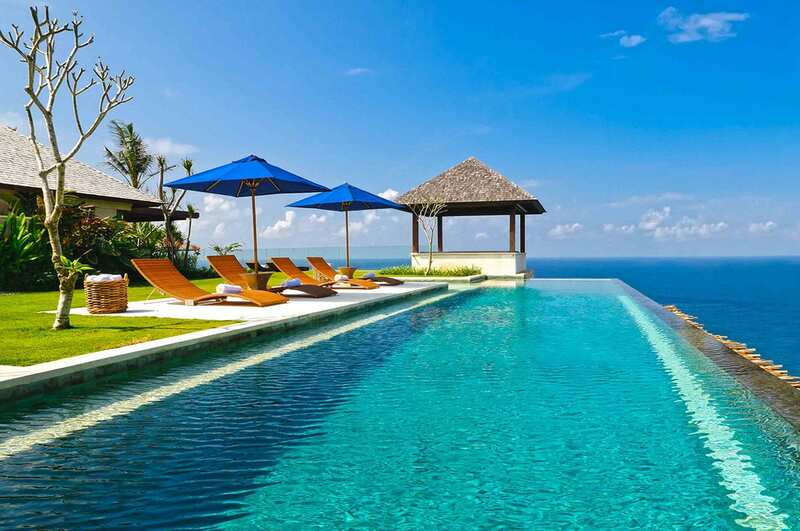 We recently stayed at the beautiful Bidadari Cliffside Estate in Bali for 5 days. Our stay began with the pleasant, but unusual, surprise that the photos on the website did not do the property justice. 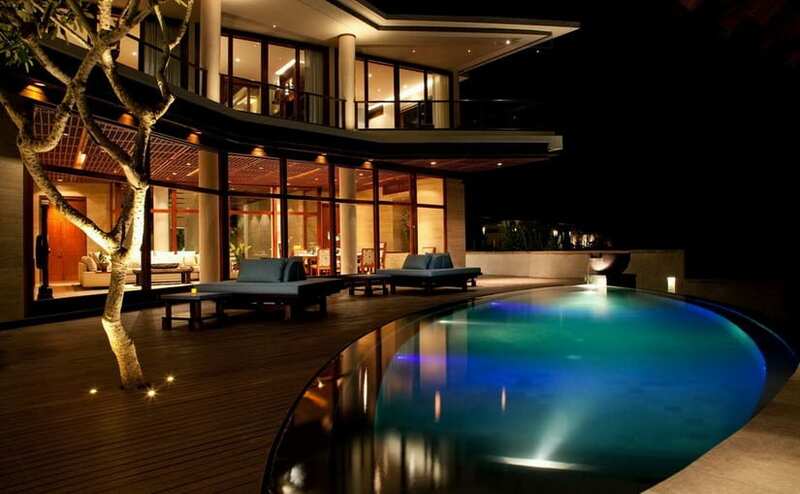 The location and vista is breathtaking and the finishes are very high quality. The staff are very friendly, providing immaculate service and their food is amazing - no ask was too much and they were happy to cater for our every need. The challenge is choosing where to spend your time - whether it be the pool, outdoor cabana, each bedroom, the private beach - they are all special in their own right. One tip - whilst their is an inclinator to the beach, a challenging but fun exercise session is to run the 290-odd stairs a few times. Overall this is as good as any high end property we have stayed in whether in Australia, Asia, Europe or the States. You will not be disappointed. My wife and our friends just spent a wonderful week at Bidadari.The staff were extremely attentive and every request was met with great ease. 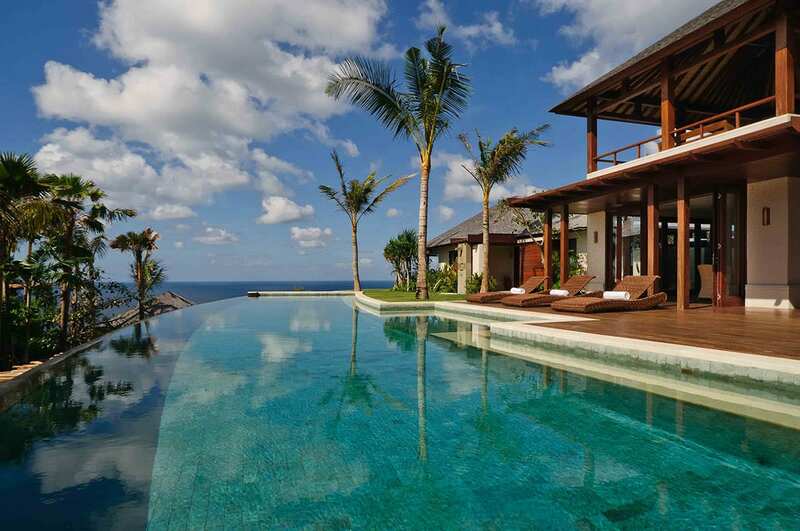 The Villa is beautifully appointed and the view simply breathtaking, a truly magical place.